I remember that day like it was yesterday, i wish it was though so then maybe I would have gotten a chance with her. But now she probably thinks of me only as a friend, I have been friend zoned. 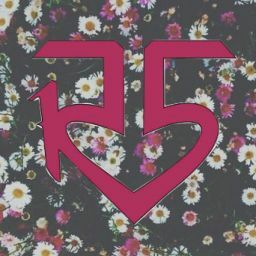 Rydel Mary lynch is the best thing that has happened to me. But now we are just friends, nothing else, nada, but now I have the most wonderful girl I have met...Kelly. I really do love her but I also have feelings for Rydel. When I first met Kelly I really did like her and I thought I will probably have no chance with Rydel. I can still remember that first day I met Rydel.......Riker introduced Ross, Rocky, and himself and lastly Rydel. I starred into her big brown beautiful eyes that sparkled when I starred. I wish it would had never ended but it did. We looked away and that&apos;s when I realized that she was the one I wanted to be with. Right now she probably thinks that I&apos;m just one of her best friends. I just wish I was more than that.... Her boyfriend but now I have to just act. Like an ordinary best friend. Also what&apos;s confuses me the most is that lately I feel like she has been ignoring me. But why? It&apos;s probably nothing. Anyways, I have to get ready to go to the lynch house to discuss with the others about the loud tour. Me, Rocky, Ross and Rydel and lastly Ratliff were just talking and it got a little boring. We were talking about the loud tour and how exciting it was gonna be but then it got quiet, so I decided to convince them all to go to a movie. "Hey , I think we should go to the movies don&apos;t you think?" I said glaring at them. "Yea sure I think we should go" Ross said. "Yea but what movie?" Rydel asked. I think I just noticed this now Rydel hasn&apos;t been talking or even looking at Ratliff, it&apos;s probably nothing."umm... I guess we can watch a scary movie or something" Rocky said. "That sounds like a great idea" I said. "I can bring Kelly too right?" Ratliff asked quietly. "Sure ya can" I said. I turned over to Rydel she looked a little annoyed of what Ratliff said. 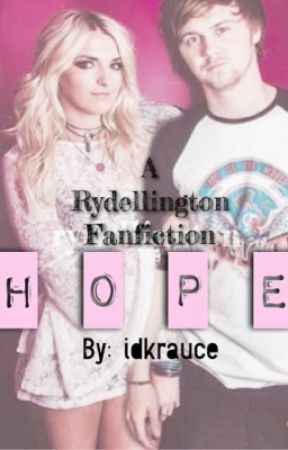 I asked "Rydel is everything ok? ", "yea I&apos;m fine" Rydel said. She looked like she was lying, but why? I&apos;ll ask her later. I have to go get ready. "Come on guys let&apos;s go get ready" I said. Then everyone went to their rooms and Ratliff just stayed to call Kelly. I went up to my room to pick my cloths to go to the movies. We are going to the movies with Ratliff and Kelly...now I have to be forced to see them kiss and snuggle. I wish I had that!! It&apos;s not fair. I mean it&apos;s not like I hate Kelly I mean is a really awesome girl and she&apos;s my best friend it&apos;s just that I had my chance with el but now I don&apos;t. Anyways I&apos;m a little nervous about Riker, when we were discussing the movie Ratliff asked if he can bring Kelly.